There are times when I feel that just yesterday was the beginning of summer, and as I sit down to write this, we are almost in the middle of August. These precious, fleeting days of summer are almost at an end, and this year I took a break from blogging to work on a personal project that is close to my heart. I have also been cooking, and eating a lot, and one of the joys I have rediscovered is cooking just for the sake of cooking – not to photograph or write or think deeply about what I was making. I needed this break for many reasons, not least because I was also mentally and physically exhausted and not taking the time to recover my joy of living and just being. And baking bread. 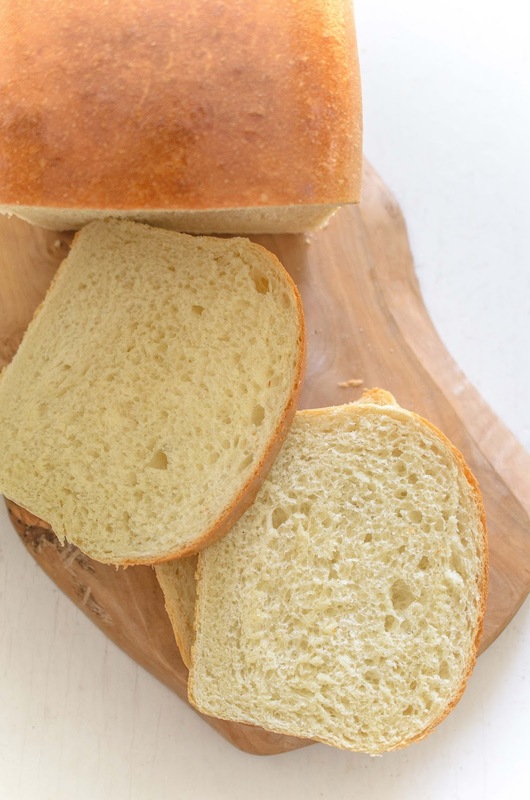 Lots of bread. But 'just being' aside, the harvest rolls on and each day new produce, fruits and vegetables keep rolling into my kitchen. Between Mama Argenplath, Prairie Urban Farm, our neighbours' overloaded cherry tree and our own back garden, it's just been one of those years. So, mom I rolled up her my sleeves and got right down to it. Now mom is not a canner or a preserver. I do remember her and a stash of my aunties all huddled in our small, hot kitchen back home in India, trying to jam rose apples. Mom was hunched over the rapidly boiling pot filled with a red, gooey, sugary jam and my aunts all stood around her, offering advice and constantly sticking their fingers into that boiling hot syrup to test if the jam had set. I can't remember if it did – all I remember is impatiently hanging around the door of the kitchen, wondering if anyone would think about making us any dinner. Mom swears that the jam set. I am skeptical. Mom always swore her jam set. Ha! That said, we did preserve some things back in India. Spicy pickles are the ones I remember the most. My grandmother sent us up rickety ladders and climbing up mango trees to collect all the unripe mangoes at the end of the summer, just before we were due to get packed off back to school. Mai carefully cut up all of them with her sharp, lethal koitho and sun dried them, before bottling them up with spices and hot red chili paste. We were allowed to have a taste, just before they were all sealed up into large ceramic fermenting jars. We also preserved a lot of tamarind, jackfruit and gooseberries, usually in salt. Fish were also dried and salt packed into jars and the smells floated everywhere. Talking about jams setting, Amy Bronee's 'The Canning Kitchen' came out this spring, right in time for canning season. I was sent a copy to review and I was pretty excited, as a lot of the time, my recipes tend to be staid and boring, and I was looking forward to some new ideas. The Canning Kitchen is a beautiful book. Amy keeps it real, she doesn't faff around with complex techniques and fancy ingredients, and her recipes are all easy, approachable and, from the taste of this jam, absolutely delicious. The sour cherries are Evans cherries, from my neighbour's front yard. Mr. M's cherries are now a bit of a ritual around here. 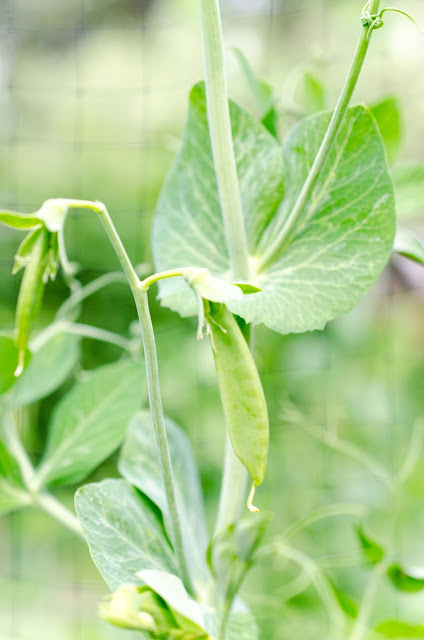 Every year, since the first year we've lived in our house, our next door neighbour Val phones us in late July (she obviously thinks we're the polite kind that need to be asked to raid gardens, yeah right!) Val gets first pick of the cherries, but she barely even makes a dent in them. Once she's done, Adz, Mom, Kay and I tramped over with all our laundry baskets, a giant cooler and a couple of packing boxes. We then pick the abundance of cherries, with me being the numbnuts on the tip of the ladder, swaying precariously in the breeze. Once the cherries are all picked, we rake out Mr. M's lawn, tidy up around the tree and tramp back home. On the way home, we stop by Mr. and Mrs. D and D's, handing over their share of our bounty. 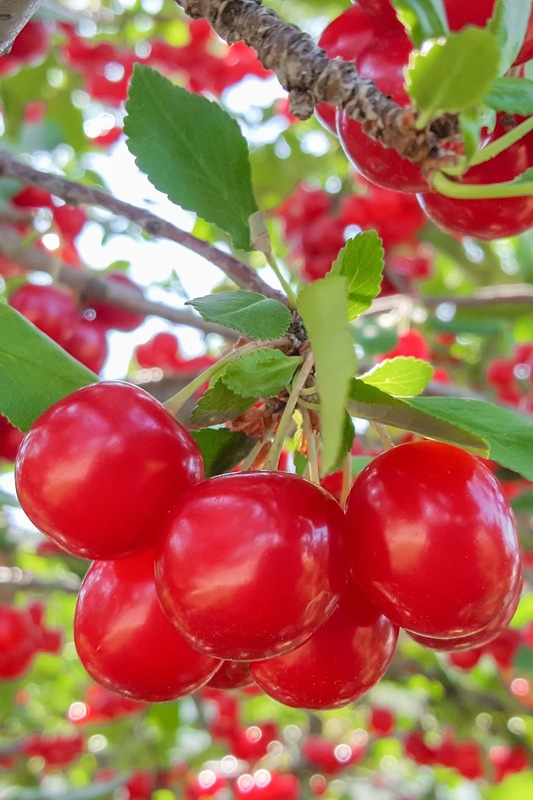 Mr. D and I usually have the same conversation about Mr. M – about how he threatens to cut down that 'damn' tree if even one cherry is left behind, at which there are a chorus of protests – and then it's back to the cherries and processing those millions and billions and trillions of little jewels. I usually make cherry jelly, but this year, in addition, I tried out Amy's sour cherry jam. It was a lot easier than straining juices for jelly, but be warned, the cherries do have to be pitted (thank goodness for mom – and NO. Your jam did not set!) Once the cherries are processed, the jam comes together very easily and you can can it in a water bath, following instructions. I was originally going to try out Amy's rhubarb and raisin chutney, but sadly, rhubarb season was done by the time I got around to it. It's going on my list for next year. As I write this, that jam is slowly disappearing, by the way. Might be time to hide a few jars. Giveaway Closed. Congratulations Alisha Duncan, I'll be in touch. And now it's time for a giveaway. The kind folks at Penguin Random House Canada have given me a copy of 'The Canning Kitchen' to give away to my readers. The giveaway is open to all residents of Canada and is open until Thursday, August 20th at 5 PM MST. Please leave your email address so I have a way to contact you if you are the winner. 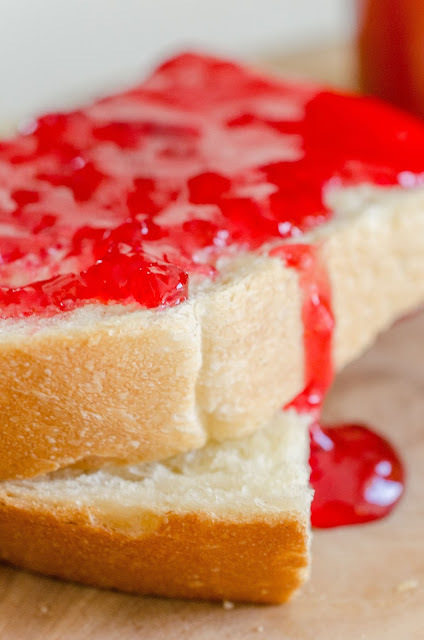 All you have to do to enter is answer this question - what jam or jelly is your favourite? Leave your answer in the comments. The following bloggers are also giving away a copy of The Canning Kitchen, and you are welcome to enter to maximise your chances of winning! Disclosure: Penguin Random House Canada gave me a copy of the book to review, and to give away. You can never have too many canning books, so really, I wasn't going to say no, now, was I ? I have just jumped on to the canning bandwagon this year. Made mulberry jam and peach jam. Yummy goodness! I have a whole bunch of frozen pitted cherries waiting to be made into jam (once the kids are back at school) so thanks for the great recipe. I'm a huge fan of peach jam, but it looks like this book would provide inspiration for some more creative jamming pursuits! Blackberry jelly - so so good! I love Raspberry jam! Though a friend of mine made cherry plum jam and that's pretty delicious too. I love all jams and jellies but especially the blueberry jams. Raspberry jam is my favourite. 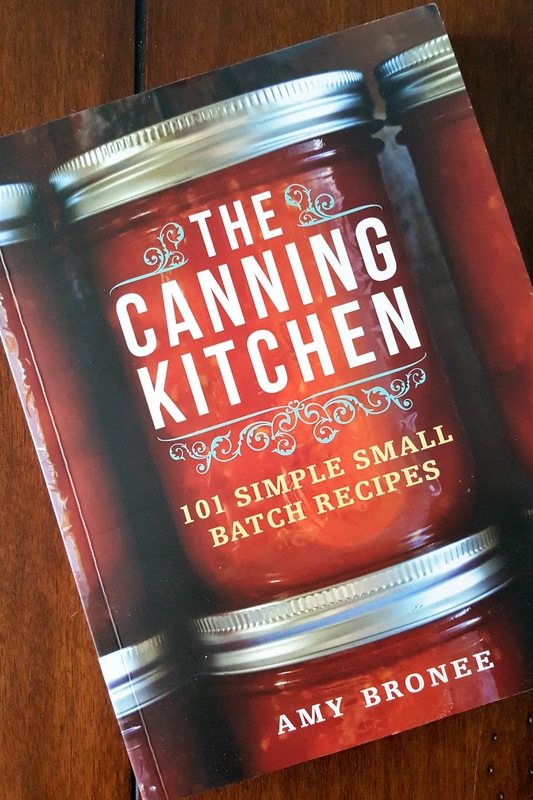 I love canning and everything I've been reading about this book makes me think that it would be a perfect addition to my collection. 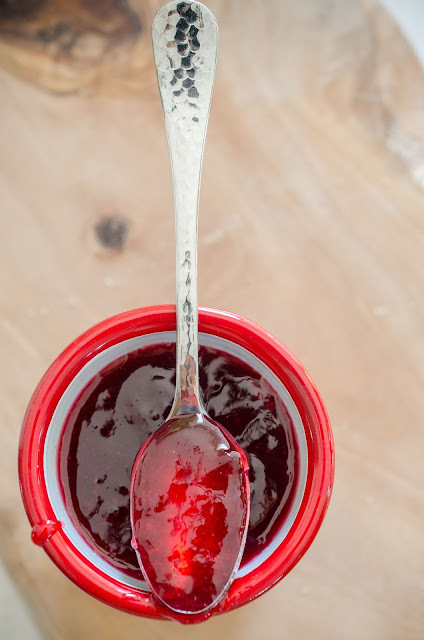 My current favourite is jalapeno jam I made a few weeks ago, but my Mom's strawberry freezer jam is the one that everyone across our family asks for every year. Strawberry jam. No! Marmalade. Wait! The cherry jam you made looks pretty tasty. I need an easier question. I am a huge lover of marmalade, especially on toast, delicious! Do I have to decide? I love anything Blueberry when making Jam? Do I have to prefer one over the other? If there's berries in it, I LOVE it! I still like crab apple jelly but my grandma used to make a delicious pumpkin and ginger preserve that I haven't been able to reproduce! I like raspberry jelly without the seeds. Haha, about your mom's jam and whether or not it set. Thank you so so much! Totally looking forward to this!